'40pc to Sabah' assurance | Daily Express Online, Sabah, Malaysia. Kota Kinabalu: The Pakatan Harapan (PH) Federal Government has given the assurance that it will eventually fulfil its obligation to return 40 per cent of the revenue derived from Sabah to the State Government. 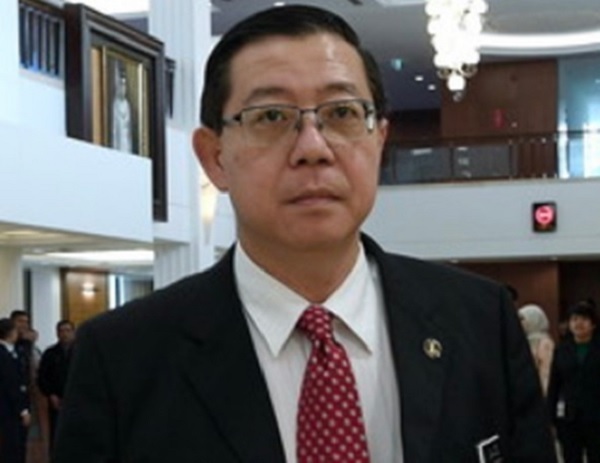 Finance Minister Lim Guan Eng (pic) said the Federal Government wants to give Sabah 40pc of its net revenue as stipulated in the Malaysia Agreement (MA63), but this can only be done when the country's financial situation improves. "We want to give back what is owed to Sabah. But how can we do so if we don't have enough money?" he said during a media conference after opening the Menara Kastam, here, Sunday. He said matters relating to the State revenue and MA63 were being looked at under a special committee set up by the Federal Government. "We hope the people will understand that we are facing a challenging fiscal situation at the moment because of the various scandals we inherited from the previous government, including the 1MDB scandal. "Let us get our financial situation back on track first. Because of the scandals, we have lost the ability to do what we want to do and what we ought to do," he said. Lim said, nevertheless, the Government had increased its allocation for Sabah in its Budget 2019. "The overall budget allocated to Sabah has been increased. Even the emolument for Eastern Sabah Security Command personnel has been increased," he said. He said the development funds for Esscom were increased from RM36.7 million in 2018 to RM74.5 million for 2019. As for emolument, Lim said it was increased from the existing RM14.9 million to RM17 million for 2019. Funds for Esscom services have also risen from RM19.2 million to RM25.6 million for 2019. He said it was unfair to say that the Federal Government was not keeping its word or not taking care of Sabah when they are doing their best to revive the economy due to past debts, including RM50 billion from 1MDB. "We also have to pay the Goods and Services Tax (GST) returns next year and it is a huge amount, we hope the people can be patient," he said. He urged the people of Sabah to give the Federal Government the chance to improve the financial situation before fulfilling the pledge made in the Pakatan Harapan manifesto. Even though the special grant is Sabah's constitutional right, Lim said, the people should also understand that if the Federal Government suffered financial troubles, all the other states, including Sabah, would also be affected. "Do not think that if the parents go bankrupt, the children will not be affected. Besides, under Budget 2019, we have shown respect towards Sabah by giving an additional allocation of RM1 billion compared to the previous government. "In the last budget, Sabah received only RM4.13 billion but next year the State will get RM5 billion, a 1pc increment. This showed the new Government respects Sabah and we want to ensure Sabahans are given more attention," he said. "The money is given specifically for Sabah and not shared with other states which showed the Federal Government's appreciation towards Sabah and its people," he added. Furthermore, he said the allocation for the Eastern Sabah Security Command (Esscom) to ensure security in Sabah's east coast had also been increased from a little over RM70 million in 2018 to almost RM100 million in next year's budget. He said this showed Sabahans were right in changing their government from BN to Warisan and Pakatan Harapan. "We are talking about the future, on whether we will fulfil the obligation to give back 40pc of the net revenue the Federal Government derived from Sabah.